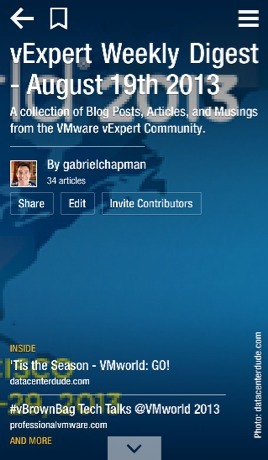 This weeks digest is ready for your casual consumption.With VMworld 2013 is only a few short days away. I’ve been busy prepping for all that I must do that week. In fact I’ll be in San Fran this Thursday attending PuppetConf on the Thursday/Friday before VMworld as well as getting everything ready for what should be a pretty amazing week. 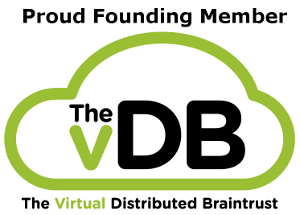 Fun things to look for in the vExpert Digest revolve around most things VMworld, the vBrownbag crew has Tech Talks again this year, as well as some quick hits on VDI, some new updates from Veeam, and my company, SimpliVity, releasing our second Gen OmniCube (hello shameless plug!). I continue to enjoy that the Flipboard crew have allowed the magazine to be read online without their reader app. It makes for a much broader content reach. Looking forward to seeing many of my vPeeps in the coming week.